The beach here is stunning, powder white sand and turquoise water. Conchal Beach is with out a doubt one of the most beautiful beaches in Costa Rica because of the white shells that cover it. The turquoise water is excellent for snorkeling. 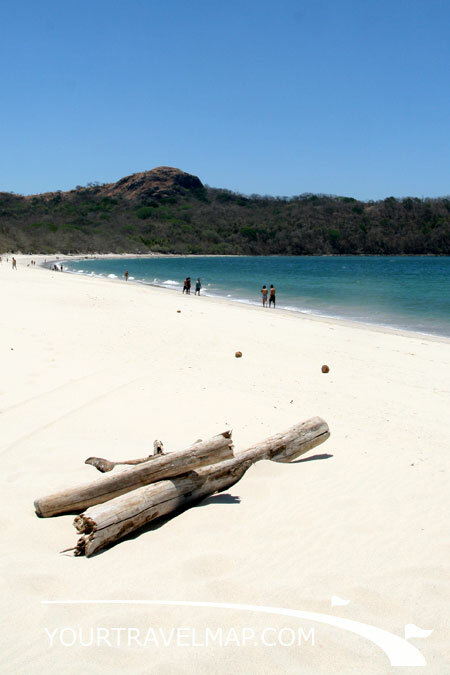 Many travel guides promote Costa Rica with photos from this stunning beach. Conchal Beach is located 1.2 kilometers from Playa Brasilito and 6.7 kilometers from Playa Flamingo. The beach consists of small white shells and that is where its name comes from. Shell Beach is the translation of Conchal Beach. The 1.5 kilometer long beach is shaded by trees and it is a wonderful beach for swimming and sun bathing. 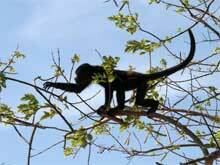 At Playa Conchal wild monkeys come right to the beach. In the dry season the sun shines between 11 and 12 hours, this is from the beginning of December until the end of April. Temperatures rise easily up to 26 Celsius in the coastal regions of Costa Rica. For golfers there is an 18 hole golf course, designed by Robert Trent Jones 2. The course is named Garra de Leon, the lions pawn. 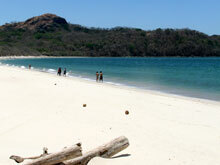 Conchal Beach is located in the province of Guanacaste. Distance from San Jose to Conchal Beach: 267.4 kilometers respectively 166.2 miles. Travel time from San Jose to Conchal Beach: 5.24 hours. Distance from Liberia to Conchal Beach: 71.1 kilometers respectively 44 miles. Travel time from Liberia to Conchal Beach: 1.39 hours. The national parks in the area can be easily accessed for daytrips. 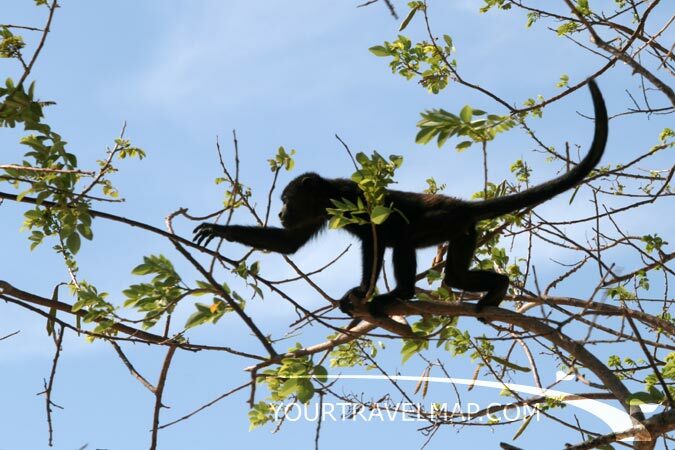 The following parks are all less than a three hour drive away: Las Baulas National Park, Barra Honda National Park, Palo Verde National Park, Rincon de la Vieja National Park, Guanacaste National Park, Santa Rosa and Isla Bolanos National Park. Sportfishing and diving is also possible off Conchal Beach.